Have you notice LoveLive! Sunshine!! of the 9 numbers? Now we have all the wigs of those lovely girl. When it comes to cosplaying, every true cosplayer knows that if you are truly to become the character that every single detail makes a difference. This includes not only the clothing, but also the accessories and even the hair. Often the hair of the character you are trying to cosplay can be the most challenging aspect to get right. What the serious cosplayers do in order to ensure the realism of their cosplay costume is to employ the use of a wig. While there are several places that you can get wigs, one of the best places you can purchase a wig today is online using the following link. The company regularly updates their products with some of the best wigs available. Not only do they make sure that their wigs stay true to the ever changing trends of cosplay but they make sure that they offer wigs of only the highest quality. If you are looking of the hottest wigs in the world of cosplay look no further than the list of newly offered products from Wig Supplier. This vibrant strawberry blonde wig is perfect for those attempting to become the character, Kunikida Hanamaru. Kunikida is a first year student who becomes best friends with Kurosawa Rudy in the anime LoveLive! Sunshine!! A length of forty centimeters and a straight haired style, will ensure anyone of your commitment to the truly cosplaying the character. This particular already comes with Kunikida’s signature yellow bow. This wig is extremely easy to take care of, only requiring you to hand wash in cold water. Afterwards you can allow the wig to hang dry, and requires no use of bleach. If you are going to be cosplaying Kunikida than look no further than this amazing wig that is sure to turn more than one head. 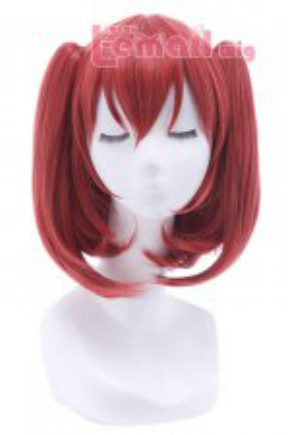 The lustrous raspberry pink wig is ideal for those attempting to become the character, Kurosawa Ruby. Kurosawa is one of the main characters in the popular anime Love Live! Sunshine!! A length of thirty centimeters and a straight style, will ensure that your cosplay is true to form and character. This wig also comes with pigtails that are already built into the wig for ease of use. The size is designed to fit the average head size. Care of the Kurosawa Ruby wig is easy, only requiring the user to use cold water and then letting it hang dry with no bleaching needed. This platinum bright yellow wig is perfect for those attempting to cosplay the character, Ohara Mari. Ohara Mari is also one of the main characters in the hit anime Love Live! Sunshine!! A length of forty centimeters and a wavy style, will add just the right touch for anyone trying to get the character, Ohara Mari just right. 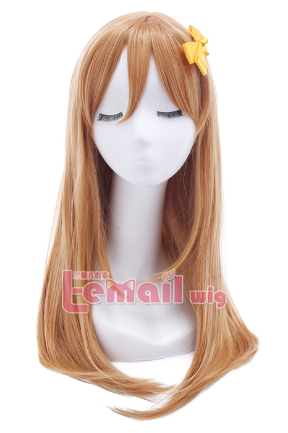 This particular wig is of medium length and even offers just the correct length of bangs. This bright wig will make sure that you are the life of the party no matter what party you are attending. Taking care of the this wig of Ohara Mari merely requires you to use cold water and letting it air dry with no need for bleaching. This darkly beautiful brown wig is ideal for those attempting to cosplay the character Kurosawa Dia. Kurosawa Dia is a popular character in the sensationally anime Love Live! Sunshine!! 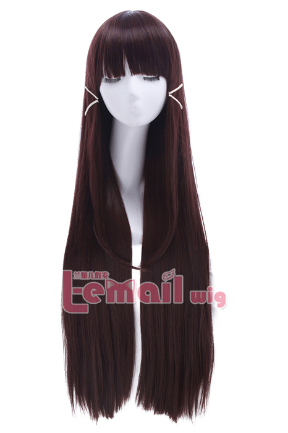 A long length of ninety centimeters with a straight style, will make your hair look just right for those intending to cosplay Kurosawa Dia. The longer length of this wig not only makes it perfect for cosplaying but also for a night of partying. This wig is designed to fit the average head size of cosplayers. The cleaning of this wig is extremely easy requiring only cold water then allowing it to air dry with no need of bleaching. The cleaning of this wig is very easy and anyone can do it. Simply wash with cold water, let it air dry, and it will be ready for your next use. Do not use any type of bleach on this wig. This wig is a capless style that will fit the average head size of cosplayers. This wig already comes with a pony tail already installed so you do not have to worry about getting the placement right. A length of sixty centimeters with a straight style, is sure to make you just like Matsuura Kanan from the anime. 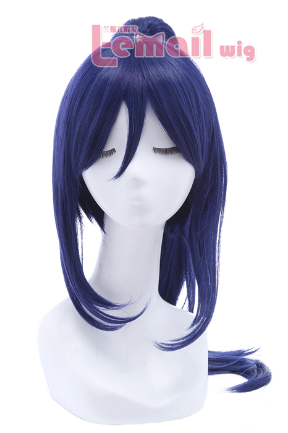 This deep dark blue wig is well suited for those attempting to cosplay the character Matsuura Kanan. Matsuura Kanan is a female protagonist in the anime Love Live! Sunshine!! This deadly red wig is designed to be perfect for those wanting to create a cosplay in the fashion of Sakurauchi Riko. Sakuranuchi Riko being of the main characters in the massively successful anime Love Live! Sunshine!! 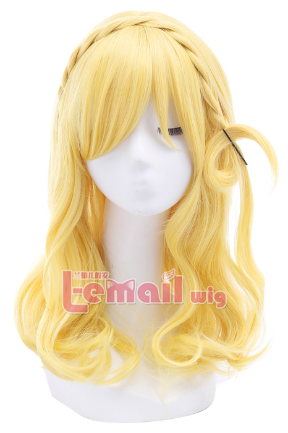 A length of ninety centimeters bring this wig in is as one of the longest on this list of Love Live! Sunshine!! Between the vibrant colors of this wig and the length this wig is sure to become one of your favorites to wear on any occasion. To clean this wig simply wash in cold water, let it air dry and make sure that you do not make use of any type of bleach. 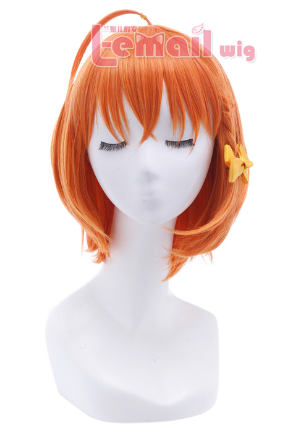 This tangy orange colored wig is perfectly designed to turn you into the popular character Takami Chika. Takami Chika is fun character popular due to the hit anime Love Live! Sunshine!! A length of only twenty five centimeters is just the right length for those trying to cosplay Takami, who has shorter hair in the anime. The straight length and average fit is sure to fit most cosplayers and add just the right amount of flair. With a shorter length also comes a cooler head. To clean this amazing wig simply wash with cold water, let it air dry, and do not use any sort of bleach. A vibrantly bright blue color is the embodiment of Tsushima Yoshiko, for cosplayers everywhere. 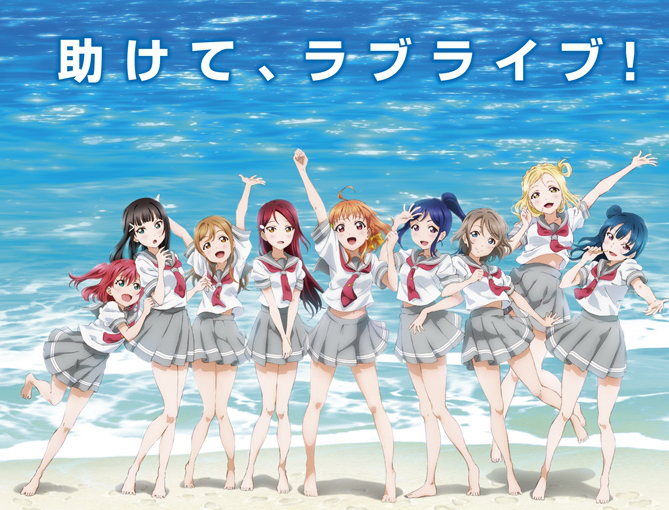 Tsushima Yoshiko is one of the main characters in the wildly popular anime Love Live! Sunshine!! A length of seventy six centimeters is just the right length for those cosplayers trying to bring Tsushima Yoshiko to life through cosplay. The long straight length offers users a way to recreate the hair style implied in the anime, Love Live! Sunshine!! In order to clean this wig you can use cold water and then allow it to air dry making sure not to use any bleach. 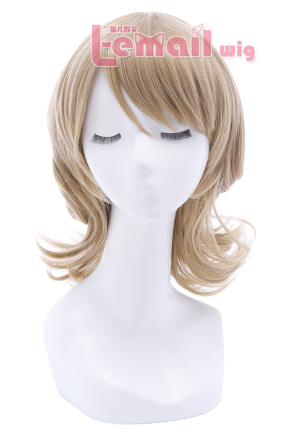 This light brown wig is well suited for those trying to cosplay Watanabe You. Watanabe You is a character made popular in the anime series Love Live! Sunshine!! A length of thirty five centimeters making it just right for those trying to cosplay Watanabe. The wavy style is perfect for cosplay and a night of partying. To clean simply use cold water and let it air dry, making sure not to use bleach. 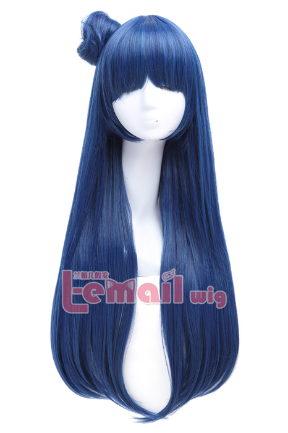 This entry was posted in Buy Cosplay Wigs, Fashion Wigs, L-email Wig review, Wigs and tagged best cosplay wigs, blue color wigs, long wigs, Love Live! 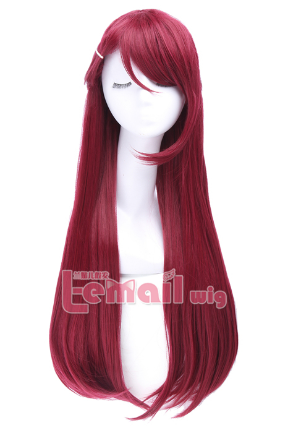 cosplay wig, lovelive wigs, red color wig, short wigs.